My daughter has been sick. All things in bloom and everyone feeling better. When I became a mother, I did not anticipate having to learn to let go so soon. My daughters spend half of their week away from me, and in the ache of their absence I remember my own mother talking about her fears when I left for college. "What is she doing now?" "Is she ok?" My daughter wasn't ok - and then she was - but in the letting go, I learn how to be a mother in an imperfect world. I learn to embody the imperfection and let it teach me. I am a mother in all things. I am strong and tender. I visit my close friend with a newborn and I can soothe him to sleep while she eats a real meal. I put my nose to the downy hair on his head. I listen to his deep baby snores. I love him as my own son because I love his mother like she were my sister and for a moment the pain of separation from my children lessens just a little. 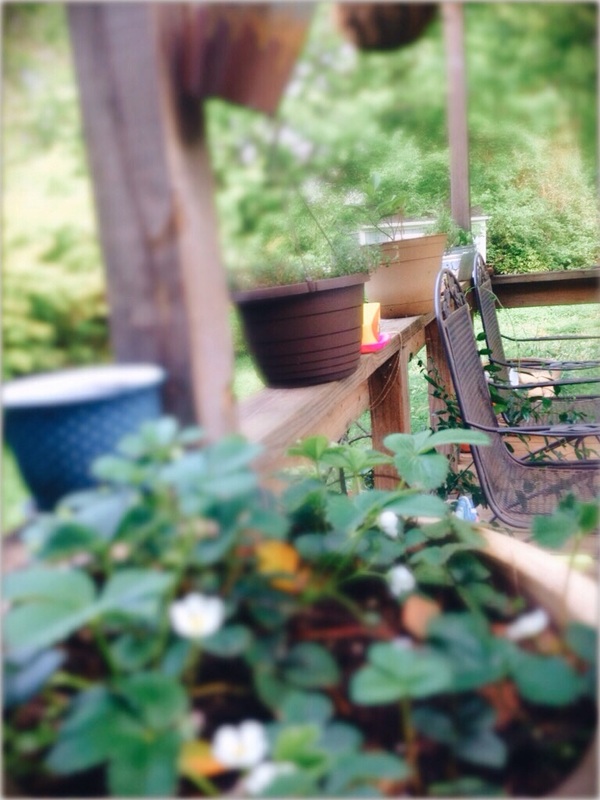 The garden is my happy place. I come to the door of my house and my dogs do not bark. They know that this is the time. After they eat, we all sit outside to watch the sun set. They require nothing from me but my presence and in this I am able to pause; I put my phone away. I brush my fingers against the herbs on the porch and there is a wave of contentment as they release their fragrance into the air. The pain of separation lessens and I watch the sun go down. I spend most of my week around the international community. I teach and guide towards a common language, English, but I use my philosophy degree every day to understand their histories, religions, perspectives. I am lucky in that I am confronted each hour with rich questions that have no answers in the way that interacting with many people from other places does. I am challenged to understand, to reimagine, to think critically of not only their second language use but their whole person. Not many people are given this chance. I connect and learn across cultures and the pain of my separation lessens. 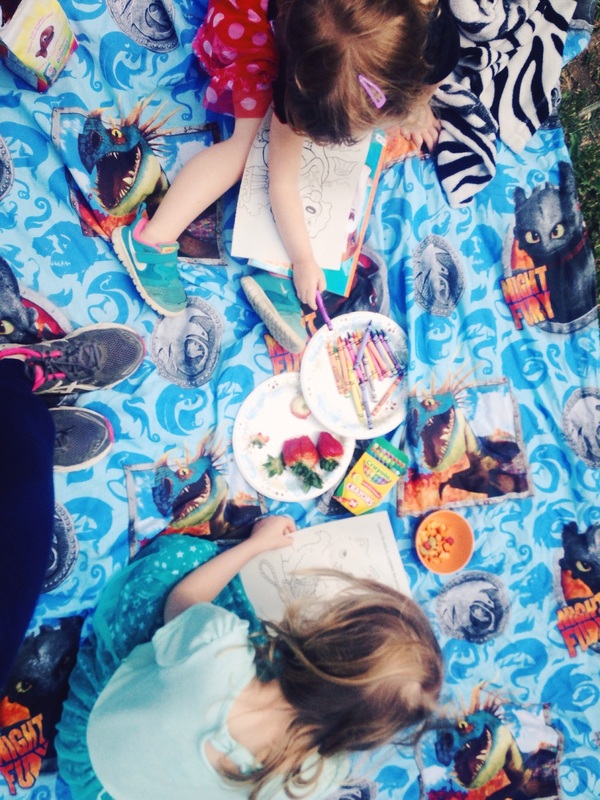 Some days, we return to the wild, eat on a dragon sheet and color until the light fades. It's the pain I keep returning to as if it will burn away what isn't needed, refining my self perception and turning me into a hollowed space. I can store the memory of my previous life there. "Hollow" isn't where I'd like to stay. I don't place enough value on the other side of this pain, the slow rediscovery of self that happens when you are given time alone in the quiet. I sit with this pain and remember who I am. I sit alone at my kitchen table and draft plans in ways I thought weren't possible anymore. The afternoon light hits the plants just right and they are golden for a moment. I reconsider this pain. I rearrange it. It becomes something else, a shared experience with the world. We all belong to clubs we want no part in but it makes us see each other with a compassion we could not have had before. And then it is my time, and my daughters return. I spend a long time listening to them sleep.